For the first time in Olympic history, all teams and athletes of U.S. Ski & Snowboard will be united under one brand and one brand mark. i.d.e.a. had a pivotal role in this moment by developing the unifying mountain-shield logo that will adorn the uniforms of all Team USA Ski & Snowboard athletes at the 2018 Winter Olympics in PyeongChang. The U.S. Ski and Snowboard Association (USSA) came to i.d.e.a. two years ago with splintered branding. A variety of marks have been used over the institution’s 112-year history, including different logos for the three national teams – U.S. Ski, U.S. Snowboarding and U.S. Freeskiing – in addition to a master association logo. 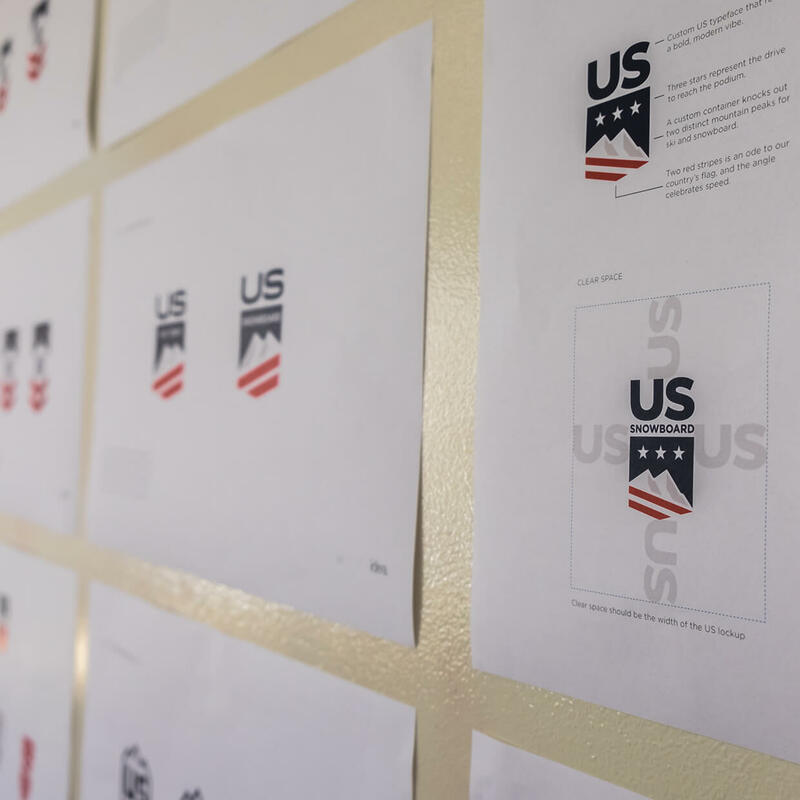 Our team created a new identity system that brought together all the sports within USSA, while still giving a nod to the equity of their past branding. The result was the mountain-shield logo. More than a mere mark, patriotism shines through the stars and stripes of the American flag. The stars represent the three Olympic medals, and the seven sports of the US team are unified through their shared playground: the mountains. With the advent of the new mark, all elements of U.S. Ski & Snowboard, including athletes, members and fans, are now tied together under the strength of one brand. The brands of the U.S. Ski & Snowboard Teams have become among the most recognized commercial marks in Winter Olympic sport, capturing the edgy spirit of the organization’s action sports. We join the nation in cheering for all Team USA athletes this winter, but here at i.d.e.a. we will be cheering extra hard for the U.S. Ski & Snowboard team – and fingers crossed for a podium finish for the new logo. 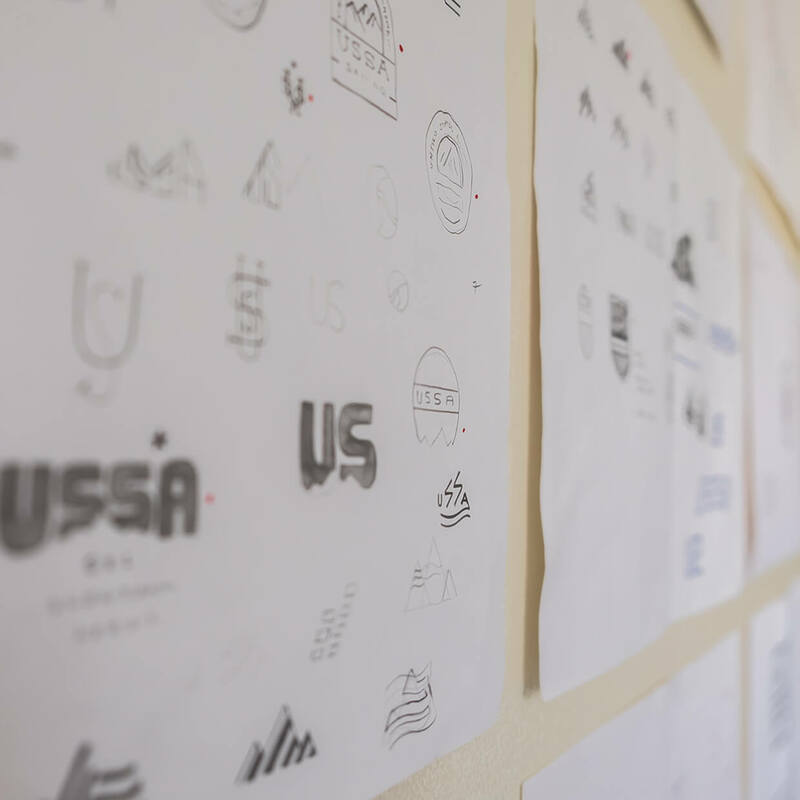 Learn more about our creative development of the U.S. Ski & Snowboard logo here.